Ms. Ayami Gensei Ito serves as Special Representative for Asia and is a member of the Executive Board of the World Summit of Nobel Peace Laureates’ Permanent Secretariat.  Her organization is one of the few that have been supporting the Summit since its inception. Having cultivated the familiarity to world peace promoting work as President of A.S.C.A. Overseas Cultural Exchange, Ms. Ito has played key roles with her advisory capability to the President and other important decision making processes of the Secretariat. Her recent major contributions to the Secretariat include the development of the Hiroshima Summit (2010) and the Warsaw Summit (2013). As an alumna of a world renowned boarding schools in Switzerland, Institute Le Rosey, Ms. Ito also works to raise awareness of the importance of world peace promoting work among the youth. She currently holds a number of key positions in International and Japanese organizations and continues to devote her time cherishing and nurturing established relationships and building new relationships with top government officials and religious leaders throughout the world. 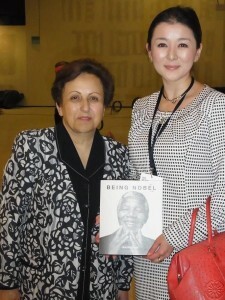 She has been a guest speaker and a leading player for world peace in several different international events. She holds MA in Cultural Anthropology from Tsukuba University, Japan and comfortably handles several other languages besides Japanese and English.